An English Homestead: My Eldest Turns 6! Can't believe it was six years ago that she came into our life and we were suddenly parents! Our eldest is so calm, caring and thoughtful. She will stick at a task until it's done, even at six I can tell she's going to be a hard worker. Her sense of humour is pretty wicked and she's far braver than people realise. She a total girly girl at times painting her nails and wearing dresses, but will happily get her hands dirty, plucking chickens, planting seeds, helping with the sheep. My Friend likened her to James bond. She'd come in covered in mud, wearing overalls then with one swipe of a zip she's wearing a beautiful dress! 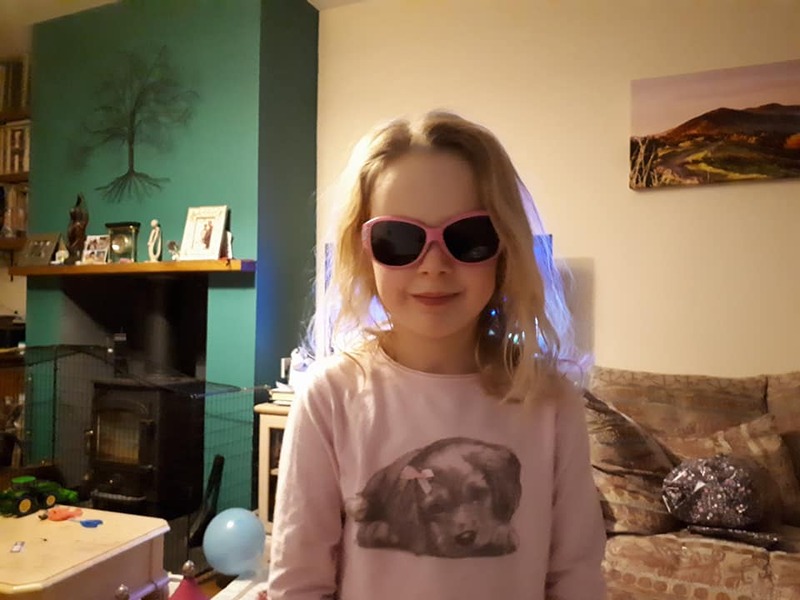 For a her birthday she just asked for a pair of sunglasses, she never wants much bless her! 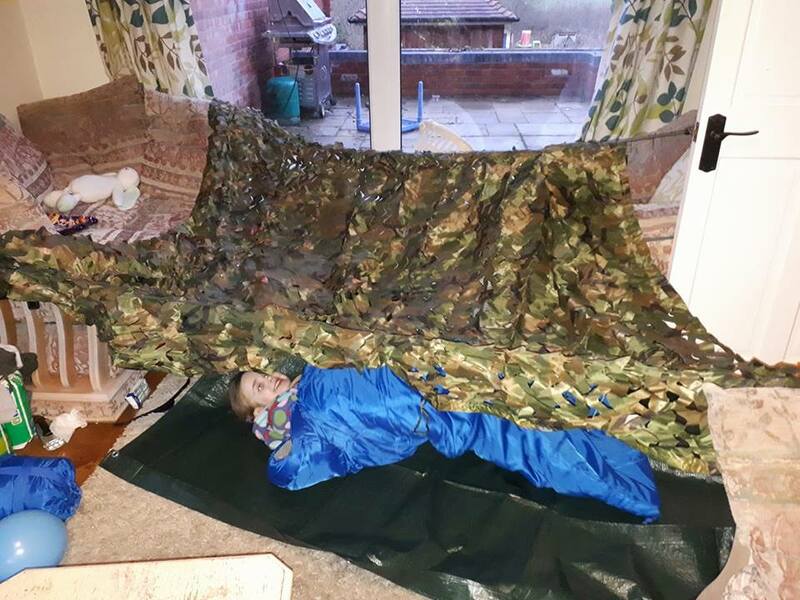 We also made her a den building kit, with a sleeping bag, camo net, ground sheet and some bungee cords. I'm sure she's going to have hours of fun building dens on the homestead! 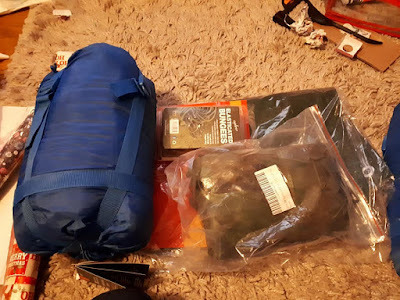 I'm also going to take both girls camping this year, even if it's just in our fields. 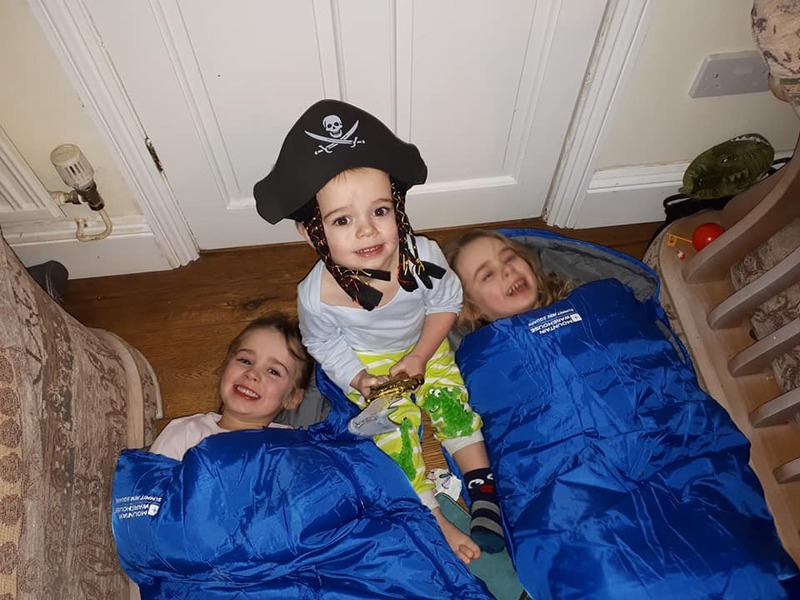 We had to build a den in the sitting room tonight! Apparently bad guys were coming and they needed to hide! What a brilliant present, with so many possibilities! She sounds like a brilliant little girl, but a lot of that is down to her parents, so credit where credit is due. They grow fast. It seems like yesterday that my youngest granddaughter was born and here she'll be turning 12 in another week. Your children are so very lucky to have amazing parents, glad she had so much fun on her birthday. Happy Birthday to your little one. Don't blink, they grow up so fast!